The Official Paralympic emblem/logo was launched on 26 November 2011. The 2016 Summer Paralympics (Brazilian Portuguese: Jogos Paralímpicos de Verão de 2016), the fifteenth Summer Paralympic Games, are a major international multi-sport event for athletes with disabilities governed by theInternational Paralympic Committee, being held in Rio de Janeiro, Brazil, from 7 September to 18 September 2016. The Games mark the first time a Latin American and South American city hosts the event, the second Southern Hemisphere city and nation, the first one being the 2000 Summer Paralympicsin Sydney, and also the first time a Lusophone (Portuguese-speaking) country hosts the event. These Games will see the introduction of two new sports to the Paralympic program: canoeing and the paratriathlon. The lead-up to these Paralympics were met with financial shortcomings attributed to tepid sponsor interest and ticket sales, which resulted in cuts to volunteer staffing and transport, the re-location of events and the partial deconstruction of the Deodoro Olympic Park. However, ticket sales began to increase during the lead-up to the opening ceremony: on 9 September 2016 (the second day of competition), the IPC announced that 1.8 million tickets had been sold—making these the second-largest Paralympic Games in terms of ticket sales. As part of a formal agreement between the International Paralympic Committee and the International Olympic Committeefirst established in 2001, the winner of the bid for the 2016 Summer Olympics was also to host the 2016 Summer Paralympics. Following the third and final round of voting at the 121st IOC Session in Copenhagen on 2 October 2009, the right to host the 2016 Summer Olympics and Paralympics were awarded to Rio de Janeiro. The 2007 Pan American Games and Parapan American Games in Rio de Janeiro marked the first time that the Pan Am Games and Parapan Am Games were hosted as parallel events in the same host city; Rio’s organization of the two events helped provide the city with experience in hosting multi-sport events, and Paralympic sporting events. Andrew Parsons, president of the Brazilian Paralympic Committee, remarked that the organizing teams responsible for the Olympics and Paralympics were maintaining a good relationship and “speaking the same language” in relation to their organizational duties. Parsons praised how well-organized the 2012 Summer Paralympics were, and felt that his team had learned lessons from London that could be applied in Rio. Map of Rio de Janeiro showing the competition venues for the 2016 Summer Olympics. As in past years, the 2016 Summer Paralympics share most of its venues with the corresponding Summer Olympics. Barra da Tijuca hosts most of the venues of the Games; the rest are located in Copacabana Beach, Maracanã and Deodoro; Barra da Tijuca also houses the athletes’ village. The medal design for the 2016 Olympics and Paralympics were unveiled on 14 June 2016; they are produced by the Casa da Moeda do Brasil. The bronze and silver medals contain 30% recycled materials, while the gold medals were produced using gold that had been mined and extracted using means that met a series of sustainability criteria, such as being extracted without the use of mercury. The obverse of the Paralympic medals feature the Paralympic emblem and an inscription in braille, while each medal contains differing numbers of metal balls to allow the visually impaired to audibly distinguish their color by shaking them. They are accompanied by a wooden carrying box, and a plush toy of Paralympic mascot Tom with hair leaves that match the medal’s color. The budget of the 2016 Summer Paralympics has faced several rounds of cuts, although the Rio 2016 Organizing Committee has not provided specific details on the deficits. In mid-August 2016, it was reported that the Rio 2016 Organizing Committee had failed to timely deliver US$8 million in travel grants that were intended to be paid out at the end of July. Without these grants, National Paralympic Committees may have had to cover a larger share of the cost of transporting their athletes to the Games, while some (particularly those in African and Asian regions) might not have been able to afford sending their athletes to Rio at all. On 15 August 2016, a spokesperson for the organizing committee credited the financial issues to the political climate making it harder to reach sponsorship deals, as well as ticket sales being below expectations. However, the spokesperson noted that the ongoing Olympics were helping to attract interest from potential sponsors. The ROC stated that it planned to deliver the money by the end of the month and that there was “no intention” to “compromise the Paralympic experience”. Mayor of Rio Eduardo Paes offered to provide US$47 million in funding to the Games to address these shortcomings, but a federal court blocked the further provision of public funding to the ROC pending the inspection of its financial records. IPC president Philip Craven stated that “although the situation is pretty precarious, rumours that the Games may not go ahead or that sports may be cut are totally unfounded and not true. Our aim right now is to bring in additional funding and resources in order to deliver the Games at the service levels expected by all stakeholders, most importantly the athletes”, and “if no more funding is available then the Organising Committee’s additional cuts will start to impact on the services offered to the athletes who have dedicated years of their lives to reach and compete at these Games. This is the last thing that we want to do.” On 19 August 2016, the IPC issued a report detailing the extent of the budget cuts and their effects on the Games; there will be reductions in transport services and the number of media centres for the Paralympics. Additionally, the wheelchair fencing events were moved from Youth Arena to Carioca Arena 3, and Deodoro Olympic Park was “closed and dismantled” so that the remaining venues in the cluster can act as “three standalone venues with dedicated transport hubs.” Public parties related to the Games were also cancelled. Some public parties and gatherings related to the Games were also cancelled. Of these changes, Craven stated that “it’s in our Paralympic DNA to see obstacles as an opportunity to do things differently and that’s what we are doing here. We are problem solvers by nature and fight for what we believe in”, and iterated that he was “fully confident Rio 2016 will be the best Games ever in terms of athletic performance.” Craven explained that “We want full participation here. We want all eligible countries to send their athletes to the Games. It’s what the athletes deserve, and it is what the athletes want after years of training and dedication.” The injunction was lifted on 18 August 2016, resulting in Paes offering R$150 million in public money to fund the Games. R$100 million worth of sponsorship deals were also reached with the federal government via state-run enterprises. The funding was eventually delivered, ensuring that all 165 delegations would be able to attend the Games. The financial shortcomings of the 2016 Paralympics have been primarily attributed to slow ticket sales, despite the cheapest tickets only costing roughly a quarter of those for the Olympics. In mid-August 2016, organizers stated that only 12% of an original target of 3.3 million tickets had been sold. By early-September, only half of the tickets to medal events had been sold. On 23 August 2016, Greg Nugent, who was head of marketing of the 2012 Summer Olympics and Paralympics, began a campaign on Twitter known as “#FillTheSeats”, encouraging users to donate money to supply local youth and people with disabilities with tickets to the Paralympics. Nugent began the campaign after noticing the large number of empty seats at competition venues during the 2016 Summer Olympics. After the campaign was advertised by Coldplay (which performed the closing ceremony in 2012), the campaign raised over US$15,000 as of 30 August. On 31 August 2016, the IPC and the Rio 2016 Organizing Committee announced that it would officially back the #FillTheSeats campaign, and set a new goal of $300,000—which the IPC said could be used to fund the distribution of 10,000 tickets, along with food and transport, for theopening ceremony to Brazilian youth and disabled peoples. As part of a revised ticketing strategy, the organizers set a new target of 2.4 million tickets, with the cheapest tickets costing R$10 each. Ticketing director Donovan Ferreti told The Guardian that a “last-minute” demand for tickets had begun to develop in the final days before the opening ceremony. He explained that the tickets were “really affordable” and “cheaper than going to see a movie”, and would allow spectators to “have a great time with high-performance competition and have a great day out in the Olympic Park.” The cost of tickets helped the Paralympics appeal to Brazilians that could not afford tickets for the Olympics, while athletes praised the presence of large and energetic crowds witnessing their events. On 9 September 2016, the IPC announced that at least 1.8 million tickets had been sold—surpassing the 1.7 million of the 2008 Summer Paralympics in Beijing as the second-largest Paralympics in terms of ticket sales. The next day, Barra Olympic Park had a total attendance of 167,675, marking its largest overall attendance across a single day of competition during either the Olympics or Paralympics (the Olympics only reached a peak of around 157,000). The Paralympic torch relay will begin with five individual flames being relayed to a city in each of the five regions of Brazil. These flames, as well as a sixth flame lit in Stoke Mandeville, Great Britain, will be united to form a single Paralympic flame, which will be relayed through Rio on 6 and 7 September 2016 en route to its lighting at the Maracanã during the opening ceremony. Commemorative coins honouring the 2016 Summer Olympics and Paralympics. The official emblem for the 2016 Summer Paralympics was designed by the Brazilian agency Tatíl Design, and unveiled on 26 November 2011 during the Christmas tree lighting at the Lagoa Rodrigo de Freitas. The emblem incorporates a heart and the infinity symbol, representing a beating heart and the idea of an “infinite energy to overcome obstacles”. IPC president Phillip Craven explained that in his opinion, the emblem symbolized the “heart” of athletes, who were also the “heart” of the Paralympic movement. As with the Olympic emblem, the Paralympic emblem was designed so that it could also be rendered in two- and three-dimensional versions, such as a sculpture that was used during the unveiling. The official mascots of the 2016 Summer Paralympics and Olympics were unveiled on 24 November 2014, with their respective names, Tom and Vinicius, chosen via a public vote whose results were announced on 14 December 2015. Named after Brazilian musician Tom Jobim, the Paralympic mascot represents Brazilian flora and “is always growing and overcoming obstacles.” The mascots’ fictional backstories state that they were both born from the joy of Brazilians after it was announced that Rio would host the Games. Brand director Beth Lula stated that the mascots are intended to reflect the diversity of Brazil’s culture and people. The opening ceremony of the 2016 Summer Paralympics took place on the evening of 7 September 2016 at the Maracanã Stadium. With the theme “Todo Mundo tem um Coração” (“Everybody Has a Heart”), the artistic portions of the ceremony featured sequences themed around the culture of Brazil and inclusivity. The official portions of the ceremony were afflicted by notable political gestures: a Belarusian official carried a Russian flag alongside his delegation to protest Russia’s ban from the games. In the wake ofongoing protests over political instability in Brazil, spectators booed organizing committee head Carlos Arthur Nuzman after he thanked governments for their role in organizing the Games, and President Michel Temer whilst he opened the Games, in response to the recent impeachment of former president Dilma Rousseff. In an opening speech, IPC president Phillip Craven invited viewers to “see the true meaning of sport and the true definition of ability”, explaining that “in a country which has faced major challenges of late, Paralympians will switch your focus from perceived limitations, to a world full of possibility and endless opportunity. They will surprise you, inspire and excite you, but most of all they will change you.” The Paralympic cauldron was lit by Brazilian paralympic legend Clodoaldo Silva. In total, 159 National Paralympic Committees are participating at the 2016 Games, with a total of 4,342 athletes taking part. The number of athletes being sent for each nation is shown beside each nation. The IPC unanimously voted to ban Russian athletes from the 2016 Summer Paralympics in response to the discovery of astate-sponsored doping program. On 5 August 2016, the IPC announced that it would field a team of refugee athletes known as the Independent Paralympic Athletes Team, which compete under the Paralympic flag. The 2016 Summer Olympics similarly featured a team of 10 refugee athletes. On 26 August 2016, the IPC announced the two members of the refugee team: swimmer Ibrahim Al Hussein of Syria (50 and 100 metre Freestyle S10), and Shahrad Nasajpour of Iran (F37 Discus). Events in 22 sports are scheduled to be contested at the 2016 Summer Paralympics. Two new sports will also be added to the Paralympics in Rio; canoeing and the triathlon. On 24 August 2016, the IPC announced that Dailymotion would serve as the official online streaming partner for the 2016 Summer Paralympics, offering 15 English-language streaming channels with full broadcasts of athletics, cycling, football, judo, powerlifting, sitting volleyball, swimming, table tennis, wheelchair basketball, wheelchair fencing, wheelchair rugby and wheelchair tennis events, as well as the ceremonies, highlights from all events, news programmes, and other original content. In total, the IPC stated that around 680 hours of content will be streamed over the 11-day event, with at least 72 hours per-day. Television rights were also sold to individual countries: Grupo Globo acquired rights in Brazil, with coverage to be shown onRede Globo and SporTV. Globo also sublicensed free TV rights to the EBC-owned network TV Brasil, which in turn will also broadcast along with regional state-owned TV networks. In the United Kingdom, Channel 4 will broadcast the event, promising 500 hours of coverage as a follow-up of its debut as rightsholder in London. As a follow-up to its critically-praised “Meet the Superhumans” advert for the 2012 Paralympics, Channel 4 produced a trailer entitled “We’re the Superhumans”, which was viewed at least 23 million times online within four days of its original broadcast. In Australia, Seven Network holds broadcast rights to these Paralympics, complementing a new long-term rights deal for the Olympics. Seven plans to broadcast 14 hours per-day of coverage on television. Coverage is primarily being broadcast by its digital channel 7Two and streamed through Seven’s existing apps/streaming services, as well as a Paralympics-specific app. In Canada, CBC, Sportsnet One and AMI-tv hold broadcast rights, promoting 1000 hours of coverage in total on television and the CBC Sports website. CBC Television will air the ceremonies, a nightly recap show, and afternoon and evening coverage blocks on weekends. In Latin America (except Brazil), Claro Sports, ESPN and Fox Sports has the rights broadcast the 2016 Summer Paralympics. Following criticism of its minimal coverage of past Paralympics (in London, it broadcast only five-and-a-half hours of highlights), NBC acquired the rights to the 2014 and 2016 Paralympics in September 2013. NBC has planned more extensive coverage for both games, initially announcing that NBC and NBCSN would carry at least 66 hours of coverage from Rio. In Sweden, state broadcaster SVT will broadcast the Games, planning 300 hours of coverage on television and digital platforms, as well as a nightly highlights show. in Poland state broadcaster TVP will broadcast the games for the first time in Polish Television history. 330 hours of coverage on television. South African-based satellite television sports broadcaster SuperSport is the official broadcaster for most of Sub-Saharan Africa. They have dedicated two channels to these Games. 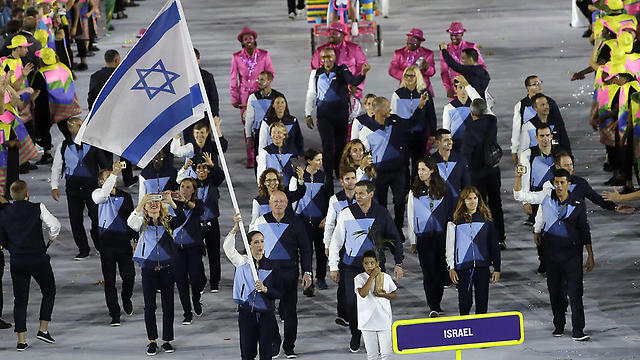 Members of the Lebanese delegation to the 2016 Olympic Games refused to travel on the same bus as their Israeli counterparts to the opening ceremony in Rio on Friday, by blocking Israeli athletes from entering the vehicle. A source from the Lebanese Olympic committee told al Mayadeen that the refusal to allow the Israeli delegation to ascend onto the bus was a group decision of the Lebanese Olympic delegation. 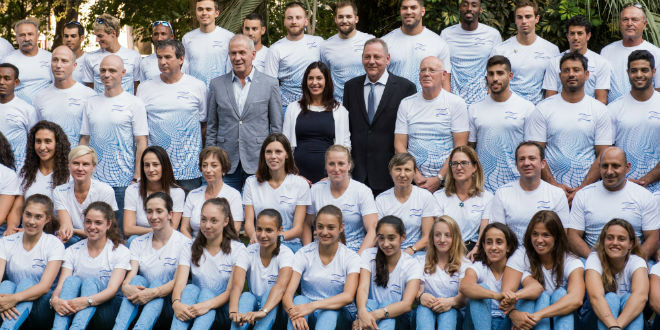 For the 2016 Olympic Games which officially opened on Friday, Israel proudly showed off its largest delegation ever, with 47 athletes competing in 17 sports.